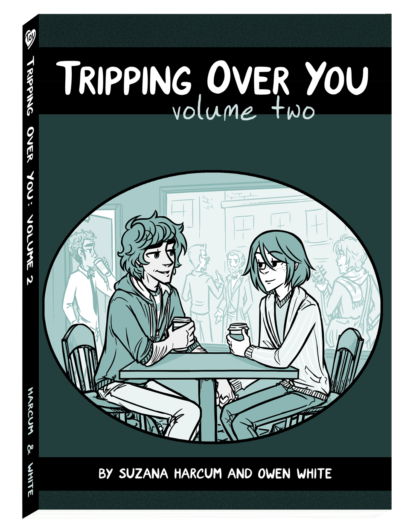 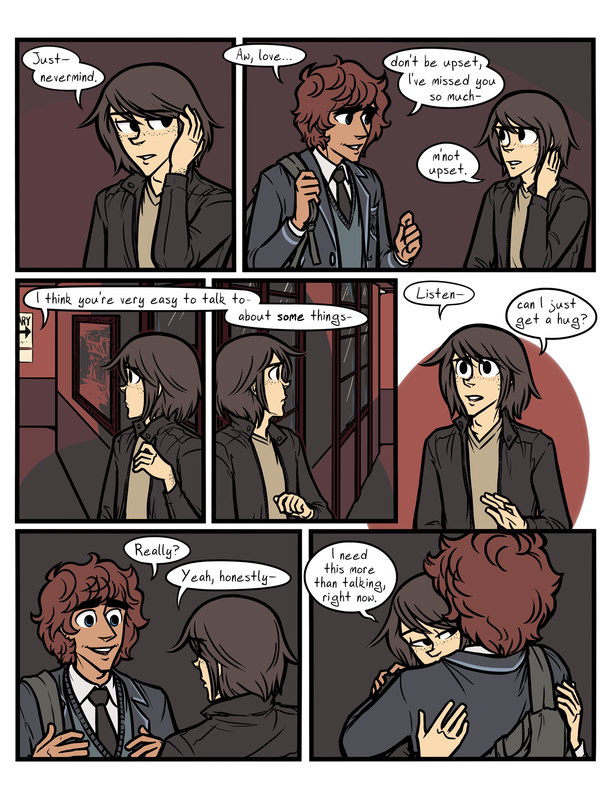 The printed edition of Volume Two of Tripping Over You, containing chapters five and six of the comic, including the intermission mini-comics between chapters. 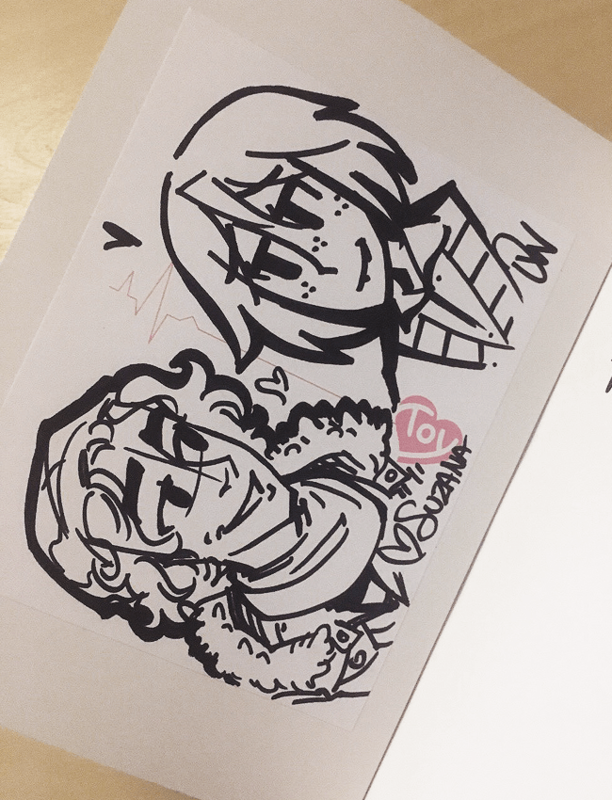 This book also contains an additional authors’ notes section, and five pages of comics that appear exclusively in this volume! 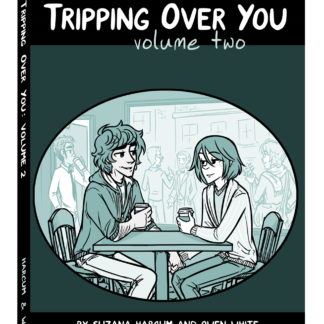 Volume Two of Tripping Over You. 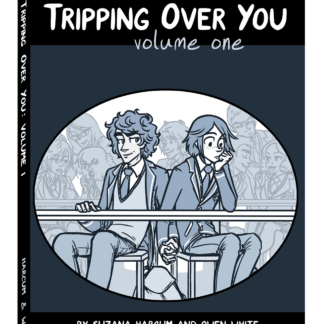 Contains chapters five and six, including intermission comics. 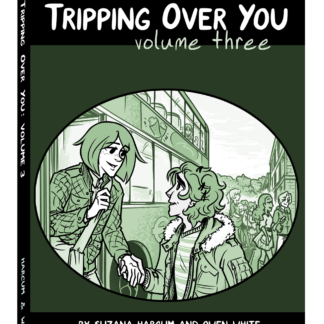 Also contains additional authors notes and 5 pages of comic pages that appear exclusively in this volume. 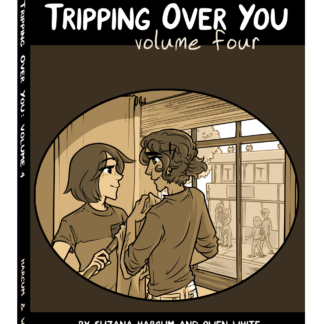 144 pages in full color, perfect bound, offset.